WASHINGTON (Reuters) – U.S. House Republicans are working on changes to their healthcare overhaul bill to provide more generous tax credits for older Americans and to add a work requirement for the Medicaid program for the poor, U.S. House Speaker Paul Ryan said on Sunday. Ryan said Republican leaders still plan to bring the healthcare bill to a vote on the House of Representatives floor on Thursday. Speaking on the “Fox News Sunday” television program, he added that leaders were working to address concerns that had been raised by rank-and-file Republicans to the legislation. 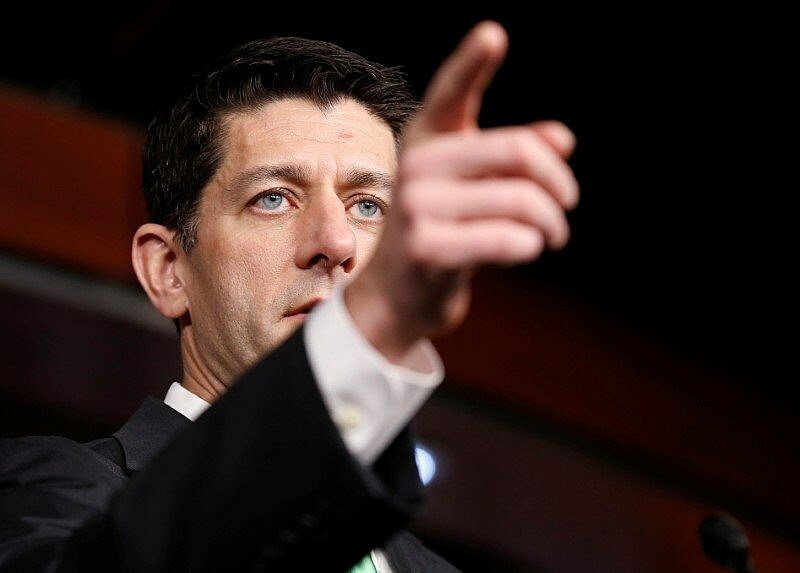 “We think we should be offering even more assistance than the bill currently does,” for lower-income people age 50 to 64, Ryan said of the tax credits for health insurance that are proposed in the legislation. Ryan also said Republicans are working on changes that would allow federal block grants to states for Medicaid. Republicans remain deeply divided over their U.S. healthcare overhaul, which is President Donald Trump’s first major legislative initiative and aims to fulfill his campaign pledge to repeal and replace Obamacare, the healthcare program of his Democratic predecessor Barack Obama. But there are still holdouts. Even as Ryan said he felt “very good” about the health bill’s prospects in the House, a leading conservative lawmaker told the C-Span “Newsmakers” program that there were currently 40 Republican “no” votes in the House. Republicans hold a majority in the chamber but cannot afford to have more than 21 defections for the measure to pass. Representative Mark Meadows, the chairman of the hardline conservative House Freedom Caucus, said the bill would “absolutely not” pass the way it is now. Meadows, a North Carolina Republican, also said the changes being considered for the Medicaid program would not go far enough, if they left it up to states to decide whether to put in place a work requirement. Even if the healthcare bill were to pass the House, it also would face significant challenges in the Senate. Senator Tom Cotton, a conservative Arkansas Republican who has been a critic of the legislation, said that the problem with the legislation was that it would not reduce premiums for people on the private insurance market. Lawmakers need to slow down and solve this problem, he said. Moderate Republicans have also expressed concerns about the bill, and their worries are often not the same as conservatives’. Speaking on NBC’s “Meet the Press,” Republican Senator Susan Collins of Maine said she was concerned about the impact of the proposal on older Americans. She also worried the bill would shift Medicaid costs to states — something critics say a block-grant approach would only make worse.